As President of Sales, Kymber has built a dedicated and passionate team of real estate professionals who assist Menkiti Group clients in meeting their real estate goals. Under Kymber’s leadership, the MG Residential Sales Team has assisted over 1,000 first-time homebuyers and has brokered the sale of over $1 billion in residential real estate. The Residential Sales Team has been recognized internationally as among the Top 50 teams within the Keller Williams franchise as measured by sales volume. Kymber is a member of The Menkiti Group’s Executive Leadership Team and is also the Regional Director for the Keller Williams Maryland/District of Columbia region of real estate affiliates. Kymber currently serves as President-Elect on the 2019 DCAR Executive Committee and on the Crittenton Services Board of Directors. 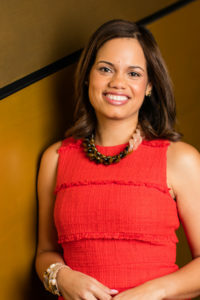 Kymber holds a GRI designation in real estate and also earned two Masters Degrees in Social Work and Law and Social Policy from Bryn Mawr College. She previously served as the Greater Capital Area Association of REALTORS® (GCAAR) Rookie Committee Chair and as a member of the Keller Williams Capital Properties Agent Leadership Council. As one of the best and brightest young business people in the greater Washington, DC region, Kymber was recognized by the Washington Business Journal as a 2018 40 Under 40 Honoree. As a long-time resident of the District of Columbia, Kymber celebrates the culture and big city luxuries of the city while appreciating the small-town comforts of its neighborhoods. Kymber resides in the District with her husband and three active boys.